We are a locally owned & operated family business with over 20 years experience. We provide friendly, professional & reliable services and guarantee all labour and materials used. Call us on 0401 242 252 or click “Contact Us” to send us a secure email. 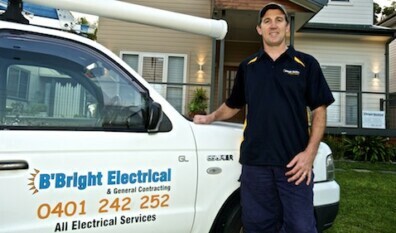 B’Bright Electrical is a locally owned and operated family business, which over the past 15 years has concentrated on building its business in both the Sutherland Shire and St George areas. B’Bright offers a friendly, reliable service, which provides the right price, quality and expertise for you and your clients.